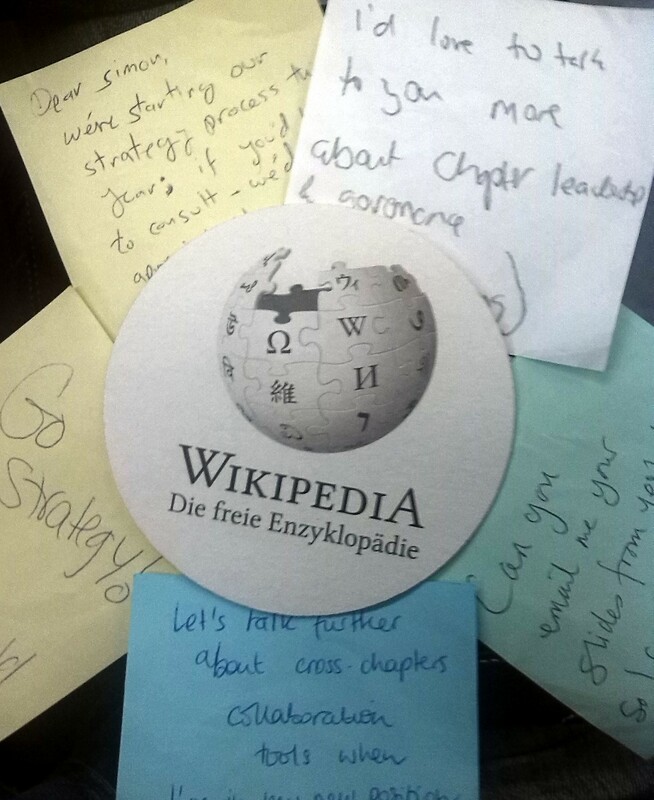 Since Wednesday I’ve been at the Wikimedia Conference (wmcon) 2014, in Berlin.The event is a movement wide conference for those engaged in Wikimedia organisations including chapters (sort of…it’s evolving right). This actually makes for an interesting mix (and dilemma) around movement-board based groups (i.e. with no paid staff, and all operational and strategic matters adopted by a lead-group or board), and ‘professionalised’ orgs (i.e. with paid staff and, in theory, boards focussing on strategic matters not operational). In any case, it was a great opportunity to catch up with some of the few I’ve met before (mostly through EduWiki), and the many others in the movement. It was also nice to have some positive feedback and interest in our strategy work. It was on that work I was asked to talk, and rather than give a blurb here I’ll just embed my slideshare. I will, however, note that one of the things I’ve become very interested in is how as a movement we can develop shared frameworks which respect (and support) localisation. One important factor here is the role of the Wikimedia Foundation, who we need to support e.g. a shared space for strategy models, translation mirrors (or whatever they’re called on Wiki), alongside ‘forking’ support, on meta, etc. As part of this I’ve got an Idea on Idea lab (idea lab idea lab) here. •How do we collaborate across chapters, etc. •What level of strategy do you work with – a framework (WMUK) or a planning doc, etc. •How do we relate overall, and technical/educational/GLAM, etc. strategy?